Open to advanced beginners & above. Flow is a dynamic class that links movement with breath. The practice improves strength, balance & posture. As well as encouraging mindfulness through long holds & more complex sequences combined with breath & the focus required by linking many poses together. This more contemporary & fluid way of moving allows us to move deeper into the body & explore the beautiful inner awareness that comes about when the body & mind are attuned. A delicious Sunday morning blend of slow vinyasa flow & yin yoga. The yang section of the class will be inspired by the Anatomy Trains principles of affecting the neuro-myo-fascial connections throughout the body with dynamic movement and deep stretching. The yin section will be inspired by the fusion of yin yoga, traditional Chinese medicine (TCM) energy meridians and Buddhist principles. Expect to leave class feeling energised, refreshed and fully resourced. You'll be ready for anything! This class is accessible to everyone with a reasonable level of physical fitness. 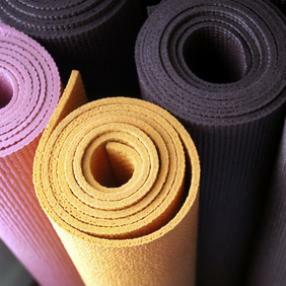 Bring your own mat if you have one - some yoga mats available to use. Bring a blanket & cushion for meditation. Cost: £13 - Payment at the time of booking is required for this class - Multiple class passes available. Class size max: 12 students - booking in advance is advised although drop-ins are always welcome. In these classes you will learn intelligent alignment & body awareness in a non-competitive environment, you'll cover all bases - move, strengthen, stretch breathe & relax. Students of any age & experience can come to these classes, particularly those who wish to practise sensibly & relax deeply. Also recommended for ‘bad backs’ and injuries. 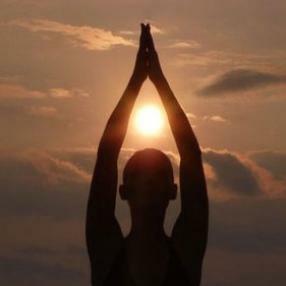 Practise yoga in a relaxed, friendly and supportive environment. Join me for our monthly yoga class on a Sunday morning. Yoga helps us develop strength and flexibility, reduces stress and anxiety, ease aches and pains and calms and relaxes the mind and body. Raziya teaches yoga poses, breathing and relaxation techniques in a gentle and intelligent way helping to increase vitality and enhance overall health when practised regularly. A lovely way to revive your mind, body and spirit! A slower paced class designed to release tension from joints, tendons, ligaments & fascia (connective tissue). This class will take you through a sequence of relaxing stretches, holding each one, to allow the body to let go of long term stress. This class is perfect for those wanting a slower, more relaxing practice and also those already active, wanting to maintain flexibility and release tension built up around the body which restricts a full range of movement (Suitable for pre & post-natal). This Yin Yoga class designed to help you find a nice end to the week helping you regain energy for the Monday morning. Find a nice slow paced class where you will hold seated poses for up to 5 minutes allowing a deeper stretch into the fascia of the muscles. Relax & Recover will help you feel rested, energised and take you into total relaxation.